With the extensive knowledge and experience in this respective domain, we are offering an extensive range of CLC Brick Making Machine. These brick making machines are inspected on numerous parameters in order to supply a defect free range to customer's end. Our brick making machines are manufactured with precision using the highly advanced technology & finest quality material under the direction of skilled professionals. Furthermore, customers can avail the offered brick making machines at industry leading rates. B&B Machines is one of the well-known names in the industry for quality Bricks Making Machine, High-Density Paver & Tile Mixer and much more. 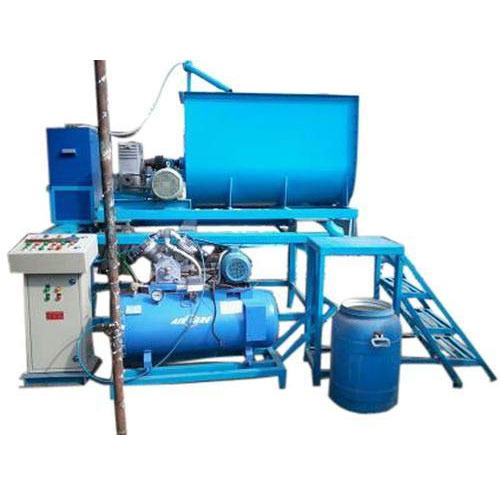 Our range of Fly Ash Bricks Making Machines, Clay Bricks Making Machines, Interblock Brick Making Machines, Rotary Type Flyash Brick Making Machines and Weigh Bridges is made using the best quality materials and parts sourced from authentic vendors. We ensure that each of our products is perfectly designed and accurately calibrated to give optimum performance and longer working life. With our products being widely sought by brick manufacturing units and in weighbridge stations, we guarantee quality products that completely defect free and long lasting. We have erected a state-of-the-art infrastructure that is fully equipped with all the required machinery to ensure that our products meet international standards of quality. Further, with the aid of cutting-edge technology and a team of highly skilled personnel, we have been able to meet the requirements of our customers on a regular basis. Our quality control experts and R&D team are constantly involved in finding ways to improve our product features and performance that will give us a stronghold over the industry. In the past decade since our inception, we have been able to garner a good client base in the Indian subcontinent due to our quality products, prompt delivery schedules, and competitive pricing policy.